Hungry for fresh pizza? Get Bubba Pizza delivered straight to your door. Order gourmet, traditional and vegan pizzas from a restaurant near you. Get Bubba Pizza Delivery. No Minimum Spend. Get Bubba Pizza delivered to your door! From a family-owned business to a franchise spanning two states and 20 stores, Bubba Pizza has been making pizza better since the year 2000! Founder Roger Hopper had a one vision in mind; how to make pizza better while lifting the standard of pizza for every man, woman, and Bubba for a more-than-fair price. What makes Bubba stand out, is their ‘Sacred Bubba Oath’ to make their pizza dough from scratch in-store every single day. As well as that, Bubba Pizza is committed to sourcing the highest-quality ingredients available from local suppliers. 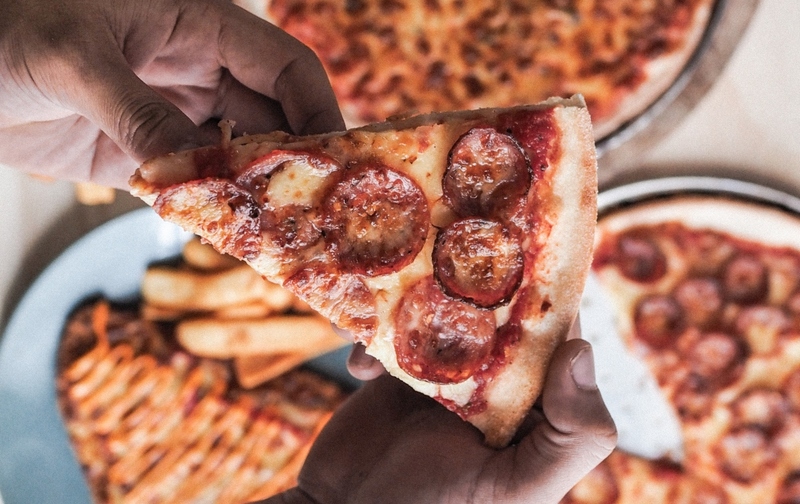 If you need to feed your family or a large number of guests at your next function, Bubba Pizza can supply all the delicious pizzas you need, making sure everyone has a full stomach, and a smile on their face. Choose from gourmet pizzas, traditional pizzas, vegan pizzas, plus schnitzel and chips, salads, home-style pasta, sides, desserts and drinks. There’s nothing like a biting into a cheesy pizza, topped with plentiful toppings to make any meal an occasion. If you’re feeding 2 or 20, Bubba Pizza can bring you your favourite pizzas to you, quickly and with no fuss. Simply order though Menulog and you will soon be indulging into a slice or two (or more) or irresistible pizza. Use the Menulog app or order online quickly and easily.